On March 20, 2012, Levy County Sheriff's Office Investigator Jimmy Anderson received a call from local attorney, Ray Earl Thomas, who represents Larry Lindsey, owner of Lindsey Cattle Company. Thomas reported that his client Lindsey won the bid to purchase the cattle sold by the local FFA students at the Suwannee River Fair. Lindsey contracted with Ron Shepard to pick up and deliver the cows to United Producers Inc. in Illinois. All seemed to be going fine until Shepard did not return with the money. Ron Shepard picked up 146 cows from the Suwannee River Fairgrounds on March 21, 2012. He also had an additional 17 cows on the truck that Lindsey had purchased from the Okeechobee County Fair days earlier. Ron Shepard made the delivery and received a check from United Producers Inc. for the amount of $200,000.21. However, he disappeared after taking possession of the check. Ron Shepard's business partner, Jeremy Pierce contacted Law Enforcement in Illinois to make the report of his missing business partner. As Investigator Anderson began to look into this matter, he discovered other states also had active investigations. Arkansas, Illinois, Missouri, Kentucky and Texas all wanted to speak to these men regarding the theft of cattle from their states. Inv. Anderson discovered that Ron Shepard had been in contact with United Producers prior to his arrival. Shepard had United Producers write the check meant for Levy County FFA kids to his personal business, Brookfield Cattle, which is owned by himself and Jeremy Pierce. Through aggressive investigative work, Inv. Anderson obtained video from a bank in Illinois showing Jeremy Pierce depositing the check meant for Levy County FFA kids. Somehow, Pierce obtained the check from Shepard and deposited it into a second business account titled Brookport Cattle Company. Inv. 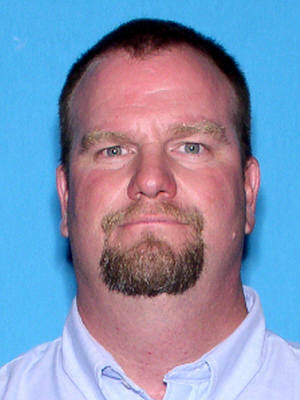 Anderson's diligent work and persistence led him to contact the FBI and the Florida Division of Agriculture and the joint investigation yielded more than ample evidence for Inv. Anderson to obtain warrants for both men. On April 19, 2012, Inv. Anderson met with 8th Circuit Judge David Glant and secured warrants to arrest Ron Shepard and Jeremy Pierce for Scheme to Defraud. Each warrant had a bond of $1,000,000.00 (One MILLION dollars). Pierce turned himself in to authorities in Illinois but Shepard is still at large. The Levy County Sheriff's Office responded to the 10600 block of County Road 347 to a report of a sink hole that had opened underneath the roadway. A passing motorist struck a crack which had opened across one lane. No injuries or damages were reported. The Levy County Road Department has closed County Road 347 from 100 Ave west to County Road 330 for an estimated 36 to 48 hours while repairs are made. The Levy County Sheriff's Office received a call of a reported airplane crash in the Fowlers Bluff area. Shortly after 3 PM Sgt. Danny Turner arrived on the scene and discovered a single engine Cessna upside down and partially blocking the south bound lane on County Road 347. The investigation revealed that the pilot and two passengers were flying from Marathon and they were enroute to Tallahassee. For unknown reasons the Cessna had total engine failure at an altitude of approximately 2500 feet. The pilot, Clifford Rydell, 51 made an emergency landing on CR-347 in Fowlers Bluff. According to Major Evan Sullivan the pilot did a great job landing the plane and very happy that no one was injured. The airplane crash occurred in a very remote area in Levy County and the Watch Commander; Lt. Scott Finnen assisted the couple by taking them to get a rental vehicle. The southbound lane was blocked for a short time and the Sheriff's Office contacted the Federal Aviation Administration and the National Transportation Safety Board and they will conducted there investigation on Saturday, April 28, 2012. Starting the week of Monday, April 30, residents living in Levy and Citrus counties may be contacted by telephone to take part in an all-important emergency evacuation planning survey. The reasoning behind the survey is to gather data for use by the Levy County Emergency Management Office to improve evacuation plans for both natural and man-made disasters. The telephone survey is being conducted by Boston-based First Market Research, and all calls made on weekdays will be conducted between 6 p.m. and 8 p.m. On the weekends, calls will be made between 10 a.m. and 8 p.m. Responding to the survey will take approximately 10 minutes to complete by either the head of household or his/her spouse. No personal or financial questions will be asked by the caller. Instead, survey questions will seek specific information, such as how long it takes you to drive from work to home, and how many vehicles typically are available to the household for use if an evacuation were necessary. Responses to questions like these will provide critical information for the purpose of emergency planning. Survey results will give emergency management personnel a better estimate of the number of people evacuating any given area, the number of vehicles used to evacuate and the length of time needed to prepare for evacuations. The data collected by the survey also will be used in a traffic engineering study to identify roadways and areas with significant traffic congestion during evacuations, and to pinpoint methods for reducing delays caused by traffic gridlock. For more information, contact the Levy County Emergency Management Office at (352) 486-5213. 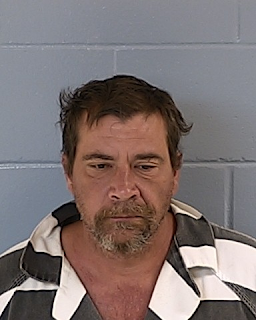 On April 24, 2012 Deputy Ella Anderson arrested Dale Derber for trespassing and possession of a concealed weapon. At 4:45 in the morning, Deputy Anderson was doing a security check at the Levy County Sheriff's Office. Anderson noticed that the gate to the Sheriff's Office gun range was open and began investigating the suspicious activity. Anderson noticed a vehicle backed up inside the Sheriff's Office gun range with the head lights off. The investigation revealed that Derber was sitting in his vehicle and had four candles burning on his dash. On April 23, 2012 an officer alert bolo was issued and Anderson immediately recognized the subject. 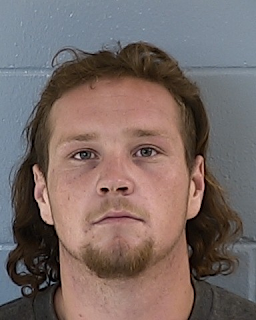 The statewide bolo warned all law enforcement to use extreme caution when dealing with Derber he is known to carry multiple weapons and stun guns. Anderson drew her service weapon and ordered Derber out of the vehicle. Derber was arrested without incident and inside the vehicle were a billy club and five knives were located in the vehicle. When Derber was questioned why he was on the Sheriff's Office gun range he stated he was going to put in an application with the Sheriff's Office. On April 21, 2012 Deputy Willie Barnes arrested Derber for flooding the Suwannee River Motel. Derber bonded out of jail on April 22nd. On Saturday, April 21, 2012 Deputy Willie Barnes arrested Kurt Leonard Phrampus for burglary, petit theft, criminal mischief and resisting arrest without violence. The witness stated that they saw a light inside the residence around 10PM and called the Levy County Sheriff's Office. Deputy Willie Barnes and K-9 deputy "Taz" responded to 6990 NW 135th Lane in reference to the burglary in progress call. Upon arrival the back door had been pried open and it was unknown if the subject was still inside the house. Deputy Barnes announced two times his presence and that the K-9 would enter the residence. K-9 Taz cleared the residence and began tracking from the back door where he located Phrampus hiding behind a shed. K-9 Taz apprehended Phrampus and he started fighting the Sheriff's K-9. Phrampus was bit in the chest and hands when Phrampus attempted to choke K-9 Taz. Phrampus was arrested and he had in his possession stolen jewelry. Phrampus was transported to Tri County Hospital where he was treated and released. Phrampus is currently in the Levy County Jail with a $130,000 dollar bond. On April 21, 2012 Deputy Willie Barnes arrested Dale Harvey Derber for felony criminal mischief. Deputy Barnes and K-9 Taz responded to the Suwannee River Motel in reference to a disturbance. Upon arrival Deputy Barnes made contact with the owner of the motel. The victim stated that Derber has been renting from her for approximately five months. The victim stated that tonight she heard a loud noise in room 11. Derber left room 11 and began banging on doors at 2:30 in the morning waking up other tenants. The investigation revealed that the loud noise the victim heard was Derber ripping the plumbing from the sink and flooding the entire room causing over $1,000 dollars in damage. Derber was located by Dep. Barnes on highway 19 and he was arrested for felony criminal mischief. On April 21, 2012 Deputy Matthew King arrested Manuel Alejandro Marmolejos for possession of drug paraphernalia. Deputy King observed a white Honda CRV disabled on the side of the road in the Chiefland area. 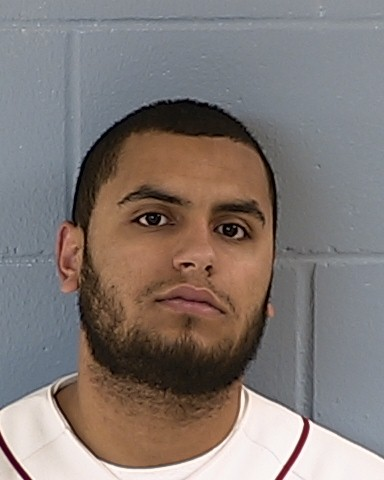 Deputy King stopped to assist the motorist and when he made contact with Marmolejos he smelled a strong odor of marijuana coming from the vehicle. King questioned Marmolejos if he had anything in the car that was illegal and he replied no. King explained that he could smell the odor of marijuana and Marmolejos produced a gas mask with a pipe attached to the mask. Marmolejos stated that he used the gas mask and pipe to smoke marijuana and the gas mask had residue that tested positive for marijuana. Marmolejos was arrested for possession of drug paraphernalia and transported to the Levy County Jail. 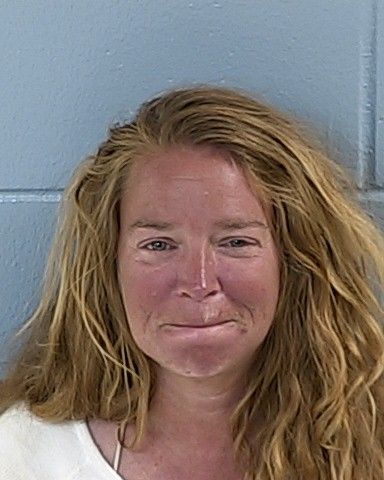 On Saturday, April 21, 2012 Deputy Jason Gallup arrested Tammy Herndon and Rodney Garris for trespassing after warning and disorderly intoxication. Deputy Gallup responded to the Kangaroo gas station in the City of Inglis in reference to a disturbance at the store. Upon arriving at the gas station Gallup saw Herndon & Garris running from the store and they were detained. Gallup knew earlier in the day that a police officer with Inglis Police Department issued a trespass warning on the two. Through the investigation it was determined that the defendants were very intoxicated. They were screaming obscenities and threw their personal belongings in the parking lot. The two refused to calm down and Gallup arrested them for trespassing after warning and disorderly intoxication. 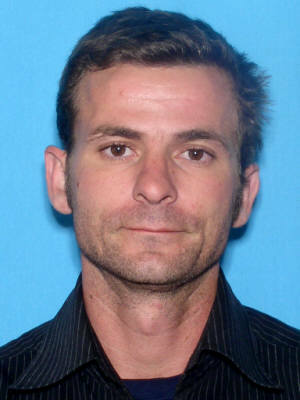 On Saturday, April 14, 2012 Detectives arrested David J. Morin, 31, from Dunnellon for several commercial burglaries. The investigation began on March 7, 2012 when unknown subjects forcibly entered the Kwik King in Morriston. Upon entry the suspects stole several thousands dollars worth of cigarettes, lottery tickets and did several thousand dollars worth of damage. The group of thugs continued there crime spree and broke into the Morriston Kwik King a total of three times and forcibly entered the Morris Junction BP Station. The Levy County Sheriff's Office organized a Task Force and started conducting stakeouts throughout Levy County. Levy Detectives noticed that the suspects would strike, Sunday-Thursday, between the hours of 9:30PM-5:00AM. The subjects continued there crime spree and committed three more burglaries in Marion County. They are suspected of committing one burglary in Citrus County. The investigations revealed the Levy/Marion/Citrus burglaries had the same similarities and were believed to have been committed by the same individuals working in the three county areas. Levy County Sheriff's Office organized a Task Force and deputies began conducting stakeouts in Levy County. Through the hard work of Detectives in the three counties they developed a suspect vehicle, 2011 Ford F-250. On Saturday, April 14, 2012 Deputy Adam Parker with the Marion County Sheriff's Office located the suspect's truck in the Lake Tropicana subdivision. Upon stopping the truck Parker located stolen cigarettes inside the truck and the suspects were detained for questioning. Sgt. Mike Narayan, Detective Jay Crooms and Deputy Scott Stancil responded to Marion County and conducted the interview with David Morin from Dunnellon. The interrogation resulted in Morin confessing to the three burglaries in Levy County and three burglaries in Marion County which resulted in a search warrant executed in Marion County. The search warrant resulted in seizing stolen cigarettes, sledge hammer, yellow crow bar and clothing from the residence. The investigation continues in all three counties and more arrests are expected. Major Evan Sullivan stated "This was a great team effort working & exchanging information across county lines". I'm very proud that Levy County Detectives/Deputies took the lead in the Task Force and another bad guy is apprehended. On April 10, 2012 Detective Roger Bell arrested Robert Carter, Christopher Chapin, James Perry and Darren Reese on multiple felony charges. The investigation began in February 2012 when Levy County farmers began reporting theft of copper wire from irrigation pivots. The thieves during the cover of darkness would steal the copper wire from the pivots in very remote areas in Williston and Chiefland. From February through April the subjects stole copper wire from over seven different farms. 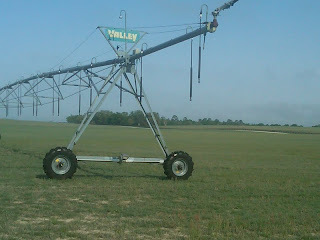 The subjects sometimes hit farms multiple times and even struck two pivots that was brand new that never have been used. The copper wire was valued at over $50,000 dollars not to mention the aggravation of the farmers not being able to water their crops and the damage to the pivots. Major Evan Sullivan organized a Task Force, "Street Crimes Unit", within the Sheriff's Office to combat this crime wave of farm thefts. Collectively this unit devised a plan and through good old fashion police work was able to develop leads in the pivot thefts. On April 10, 2012 the drag net tightened and Detective Roger Bell, Deputy Scott Stancil and Sgt. Mike Narayan located Chapin, Reese and Carter at 14431 NE 50th Place in Williston. While Detectives and Deputies conducted interviews with witnesses and suspects they located evidence that the suspects were burning the wire behind the house. The suspects would burn the plastic coating to bare copper wire and scrapped the copper to local salvage yards in Williston. While conducting the investigation at the Williston home Detectives noticed marijuana plants behind the house. 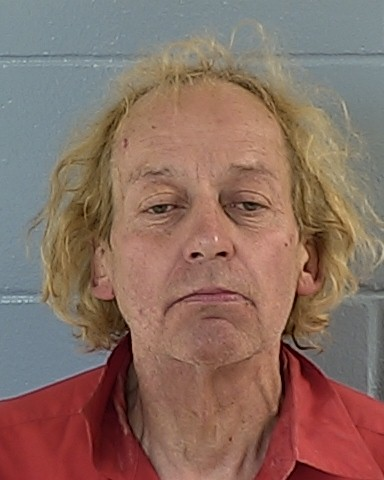 Robert Carter admitted to growing marijuana and he was charged with cultivation of marijuana, which is a felony charge. Carter was a suspect in a burglary case that was unrelated to the pivot thefts. Carter was arrested for burglary, grand theft auto and dealing in stolen property by Corporal Mike Bell. The suspects were transported to the Sheriff's Office for further questioning based on witness testimony. Detective Roger Bell obtained confessions from Carter, Chapin and Reese stating they were responsible for stealing wire from seven irrigation pivots in the Williston and Chiefland areas. 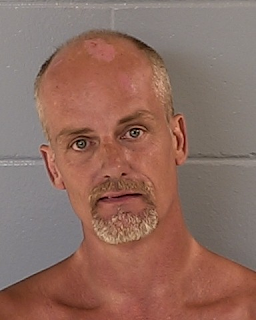 The suspects also advised that James Allen Perry from Bronson was involved in the thefts. Sgt. Mike Narayan and Major Evan Sullivan located Perry at a Bronson home and he was brought in for questioning. Perry admitted to stealing and assisting by being a look out and driving the car to the farmer's field. The investigation revealed that in addition to the suspects confessing to all the pivot thefts in the Williston & Chiefland areas they had also planned to do six more pivot thefts last night in Chiefland. Since the inception of the full time Ag/Marine Unit Lt. Hunt has been extremely busy. Sullivan would like to remind all farmers that we have an Ag Watch Program. The Ag Watch Program was developed in 2008 as a means to identify ownership of agriculture properties in Levy County. The program consists of no Trespassing Signs and has a code on the Ag Watch signs listing the property/business owner's name and a code number, which provides deputies on patrol instant access to owner information and agent/lease agreements. The Ag Watch Program is open to qualified agriculture persons whose interest is in, and limited to, agriculture related activities. The Ag Watch Program is free and if anyone is interested in participating in the program, please contact Lt. Sean Mullins. As a reminder to Levy County residents please be vigilant by watching and reporting any suspicious activity to the Levy County Sheriff's Office. With your eyes and ears together we can prevent and solve crime. On April 8, 2012 Deputy Mat King stopped a vehicle in the City of Bronson for a minor traffic violation. Upon making contact with the driver, Christopher Lee Holder, Deputy King observed a rifle next to him in the truck. Through the investigation it was determined that Holder was a convicted felon for fleeing and attempting to elude a police officer and a crash investigation involving a hit & run. Deputy King seized a Remington .22 rifle, Rossi .38 caliber pistol, 20.5 grams of marijuana and drug paraphernalia (pipe). Holder was arrested for possession of firearms by a convicted felon, possession of marijuana more than 20 grams (felony) and possession of drug paraphernalia. Major Evan Sullivan stated that he is very proud of his deputies. Our deputies are proactive and always vigilant while out on patrol. Sometimes we hear from the citizens that a deputy stopped them for a routine traffic stop and the deputy seemed extremely cautious. Sullivan reiterates that there is no such thing as a routine traffic stop. This investigation began when Holder did not have a tag displayed on his truck and resulted in several felony arrests and two firearms removed from the streets and a bad guy in jail. 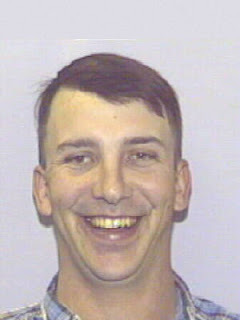 April 8, 2012 Deputy Roger Bell stopped a vehicle in the city of Chiefland for a minor traffic violation. Upon making contact with the driver, Jonathan Racer he noticed a pill bottle and two syringes on the seat next to Racer. Through the investigation it was determined that Racer did not have a valid driver's license and inside the syringes was anabolic steroids. Racer was arrested for no valid driver's license, possession of controlled substance without a prescription and drug paraphernalia. Sullivan states that traffic stops can be extremely dangerous because you are always going into the unknown. Fortunately Deputy Roger Bell did not get accidentally stuck by the bad guy's needles. Deputies responded to Manatee Springs State Park in reference to a disturbance. Campers in the park reported to the Sheriff's Office that a female was yelling obscenities in the park preventing them from going to sleep. Upon arrival Deputy Darrell Cothron observed Rebecca Quinn on foot in the park & she was screaming and cursing. Quinn was given the opportunity to calm down and go to bed, but she refused the lawful order. 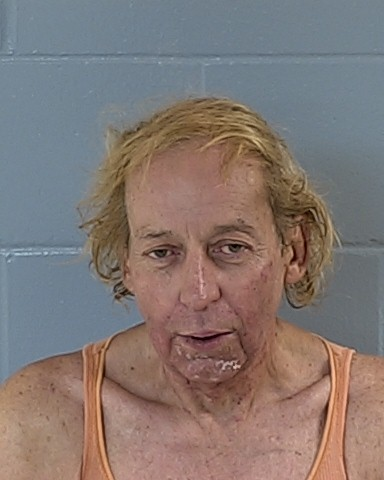 She was arrested for disorderly intoxication and transported to the Levy County Jail. The Levy County Sheriff's Office has seen an increase in copper wire thefts. Lt. Shawn Hunt the Commander of the Ag/Marine Unit has investigated five copper wire thefts from irrigation pivots in the month of March. The thefts have occurred in the Williston & Chiefland areas and most likely are occurring at night time. The farm thefts are felony offenses and the suspects are looking at serious time in prison if arrested and convicted. The Levy County Sheriff's Office is offering a $500.00 reward for information that leads to an arrest. Anyone with information can contact Lt. Hunt at 352-486-5111 or you can remain anonymous and call Crime Stoppers at 1-877-349-8477. We encourage the citizens to call the Levy County Sheriff's Office and report any suspicious vehicles parked on the side of the road near irrigation pivots or vehicles in the fields at night time. Major Evan Sullivan stated that these thieves are causing thousands of dollars worth of damage to the farmers for a minimum monetary return. With the help of the citizens we can solve these thefts and put these subjects in jail for a long time. On April 1, 2012 Deputy Ella Anderson responded to 7571 NE 92 Court Bronson in reference to a house fire. Upon arrival the wood frame house was fully engulfed in flames. The victim's 1999 Ford Crown Victoria was parked in the front yard and the fire quickly spread to the car. The Bronson Fire Department responded and extinguished the fire and kept the fire from spreading to other residences. Investigator Mike Wilkinson with the Levy County Sheriff's Office and Robert Thompson with the State Fire Marshall's Office determined that the fire was an arson case. The investigation revealed that Jermain Griffin got into a verbal argument with his wife and a relative the previous night. During the incident Griffin cut his right hand on a bottle and there was blood at the scene of the crime. Officer Thompson arrested Griffin for arson. Griffin is also currently on felony probation for possession of cocaine with intent to sell. Deputy Ella Anderson and Major Evan Sullivan transported Griffin to the Tri-County Hospital for his injuries. Griffin was treated and released and booked in the Levy County Jail for arson. Griffin will be held with no bond.